Christmas Toy campaign a brilliant success, again! 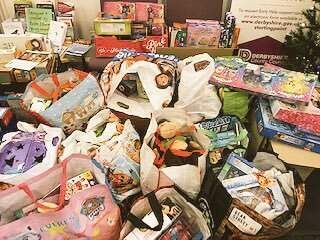 The Club would like to thank EVERYONE who helped contribute to our Christmas Toy Campaign this year, which was another amazing success. 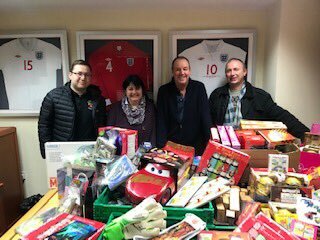 ATFC would also like to thank the Co-op in Alfreton based just across from the Impact Arena for their wonderful donations to our South Normaton Food Bank cause. A big thank you to Alfreton Juniors for helping us throughout the campaign including collecting their own donations. 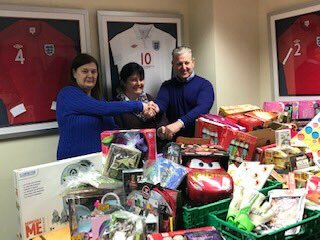 ATFC are delighted to have helped provide children with gifts this Christmas in a campaign which is always very special for us to run.